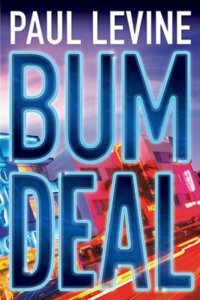 With “Bum Deal” debuting June 12 in the Jake Lassiter series, let’s look back at my grilling of linebacker-turned-lawyer last year just as “Bum Luck” was launched. The novel opens ominously: “Thirty seconds after the jury announced its verdict, I decided to kill my client.” Author and Hero trade punches – literally – about what it all means, and if you missed it, “Bum Luck” is on sale this month at the ridiculous price of $1.99 for the ebook. Available also in audio and trade paperback. Paul: I see you’re in trouble again, Jake. Jake: Don’t blame me. I only follow orders from you, scribbler. Paul: That’s a cop-out, tough guy. You’ve got a mind – and a mouth – of your own. Jake: News flash. I’m fictional. I don’t have free will. Paul: Really? Did I tell you to try and kill Thunder Thurston, your own client? Jake: I don’t remember. My brain’s a little fuzzy. Paul: No wonder. How many concussions have you had? Jake: Sure, blame the victim. You’re the one who made me run full speed into a goal post, splitting my helmet in two. Paul: But I warned you not to get into the boxing ring with the Sugar Ray Pincher. Another concussion, and next day, you’re standing on a 20th floor balcony, threatening to push Thurston over the railing. Jake: Thurston killed his wife. He deserved to die. Paul: The jury said NOT guilty. After YOU argued his case. Jake: Your words, pencil pusher. Not mine. Jake: I’m drowning here. Can’t you see that? Because of me, a murderer went free. Paul: Snap out of it, Jake! You were just doing your job. Jake: YOUR job, shyster. You sent me to night law school. You made me take the Bar Exam four times. You pushed me into criminal law. I could have coached high school football in a pleasant little burg in Vermont, but no, you made me a trial lawyer. Paul: I’ve never known you to be such a whiner. Jake: (groans) What have you done to me? Splitting headaches. Memory loss. Confusion. Solomon and Lord think I have brain damage. Paul:	I never told you to use your helmet as a battering ram. Jake: Once you made me a linebacker, what did you think would happen? Paul: (apologetically) Truth be told, Jake, I didn’t think about the future. No one knew about chronic traumatic encephalopathy back in the day. Jake: You gave me a concussion in the game against the Jets where I made the tackle on the kickoff, recovered the fumble, and stumbled to the wrong end zone. Paul: Sorry about that…and the fact it cost the Dolphins the game. Jake: All these years later, the judges still call me “Wrong Way Lassiter.” Sorry doesn’t cut it, pal. Good News for the Hero of the Jake Lassiter Series? Paul: (brightens) There’s some good news, Jake. Dr. Melissa Gold, a neuropathologist at UCLA, is making progress with athletes suffering from C.T.E. She’s also very attractive. Jake: I know that. I must have forgotten. Do she and I…you know? Jake: I’m hoping she’s a keeper. It’s about time you gave me a soulmate instead of a cellmate. Paul: Not my fault you choose women who break up with you by jumping bail and fleeing town. Jake: C’mon, old buddy. Can’t you tell me if I kill Thunder Thurston? And if I do, whether I get away with it? And if I live or die? Paul: The answers, old buddy, can be found in “Bum Luck,” the latest in the so-called Jake Lassiter series. Just shell out a few bucks and you’ll know. Jake:	I oughta break all your fingers so you can never type another word. Paul:	Don’t even think about it. Hey, what are you doing? Ouch! Let go of me. Stop before I zexxpiejnvfpreidssridkmswsk……. (This “interview” originally appeared in “Mystery Scene” magazine in 2017. “Bum Luck” is available in trade paperback, ebook, and audio formats. 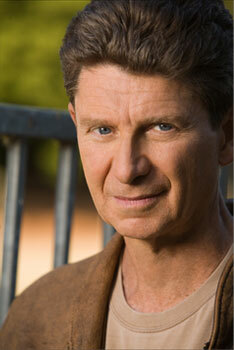 For more information about the Jake Lassiter series and more, visit Paul’s Amazon Author Page). PAUL LEVINE has won the John D. MacDonald fiction award and was nominated for the Edgar, Macavity, International Thriller, Shamus and James Thurber prizes. He wrote 20 episodes of the CBS military drama “JAG” and co-created the Supreme Court drama “First Monday” starring James Garner and Joe Mantegna. “To Speak for the Dead,” an international bestseller featuring lawyer Jake Lassiter, was his first novel. He is also the author of the “Solomon vs. Lord” series. His latest novels are "Bum Rap," a Amazon Number One Bestseller, "Bum Luck" and "Bum Deal." A graduate of Penn State and the University of Miami School of Law, he divides his time between Santa Barbara, CA and Miami, FL.